The modern world, with all of its conveniences and virtual connections, can leave many of us feeling a bit lost, stressed, disconnected, and unsure of what exactly we're here to do. This 4 week class + community performance explores the ancient art of Storytelling and Personal Mythology as a way to reconnect with an inherent sense of purpose and belonging. ​We'll spend the first two weeks in exploration and creation mode, uncovering threads of narrative that have woven through our lives. Weeks three and four will focus on crafting stories that resonate at a deeply human level. Finally, the community performance will give us the chance to share these stories with others, a beautiful ritual that has brought humans together since we've been able to grunt at each other. This workshop is for anyone who feels pulled to explore their inner landscape in a creative, surprising, and fun way. There's no storytelling, performance, or writing experience necessary and this workshop is open to folks from all backgrounds and level of experience. 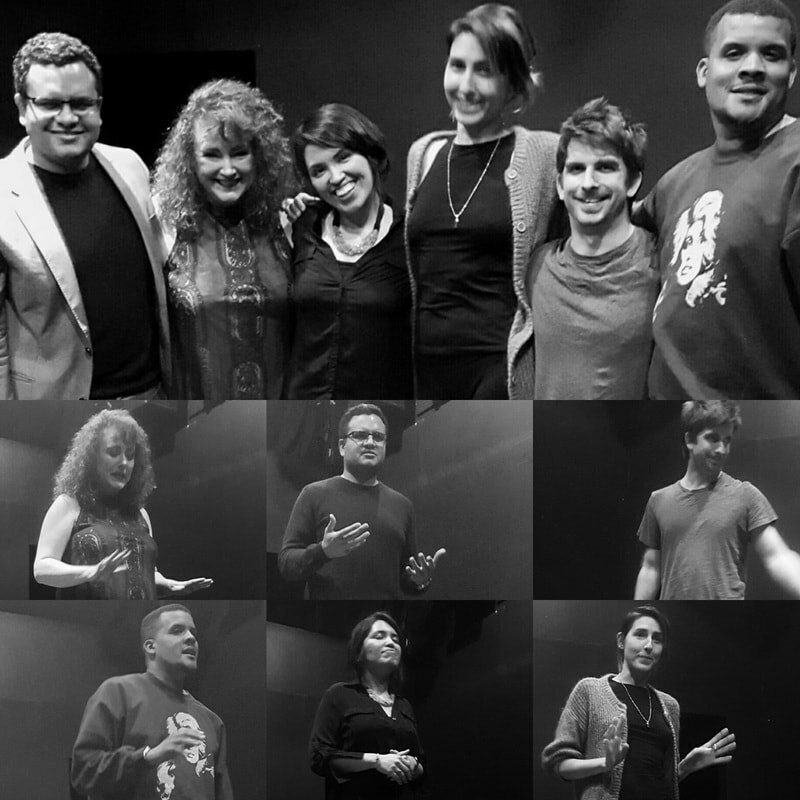 The idea is less to craft stories to perform at The Moth (although past students certainly have), and more to delve into the power of personal mythology to free the creative voice, reconnect with self and others, and facilitate healing. ​Impactful exercises that will help you explore your own mythic landscape, gain new perspective, and surprise yourself.. Individual feedback, guidance, and support throughout the workshop. At least one polished story ready to be shared. The opportunity to share your story in community. The exchange for this class, including all materials and the final performance, is $275 until May 15th then it goes up to $325. Because this is a pretty compressed timeline for a class like this, I ask that every participant commit to attending all sessions. In turn, I commit to bringing my full self to each class with the goal of supporting your exploration, journey, and creativity. Each class is 2.5 hours and the workshop culminates in a final performance after the fourth class. We will meet 10 AM to 12:30 PM on June 1, June 8, June 15, and June 22 with a final performance at Book Show in Highland Park on June 27th at 7:30 PM. All classes are held at a private location in Highland Park with easy parking and Gold Line accessibility. Michael’s technical knowledge of storytelling will stick with me – he is well-versed in structure, tone, movement and a host of other fundamentals for those looking to hone their skills. But much more importantly, Michael recognizes the power of story to heal and to build connections.The joy and celebration at the final presentation was something I’m not sure I’ve ever felt before. It was magical.